Check out this video and see the fabled new Nexus 5 in the “wild.” So there you have it, Android 4.4 is the K, and it’s Kit Kat, not Key Lime Pie. Does everyone feel better now? Here’s the need to know links. Win a new Nexus 7 on the Kit Kat website. You can also go to KitKat.com and see more Android goodness. There’s also an article on the BBC about Android 4.4 Kit Kat. As well as Computer World. Check out Sundar Pichai’s post on Google+ to see what started it all. 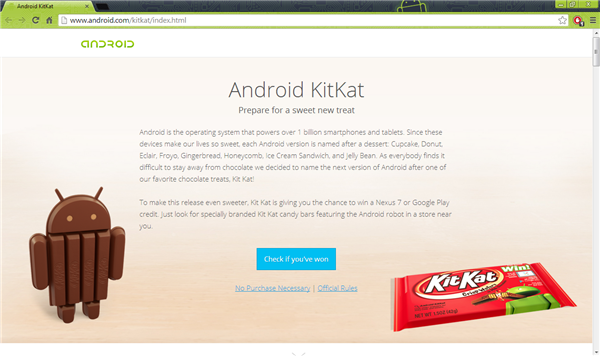 Also some Kit Kat love on the Android.com site. 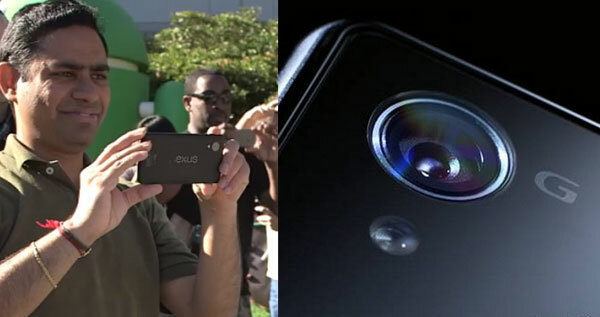 Here’s the picture that started the Nexus 5 war. What do you think? Is that it? It either looks like the LG logo, or the FCC logo you see on the back of some phones. Who really knows? Only the guy in the picture, and probably the lady standing next to him. Did you hear Hugo Barra is leaving Google to go work for Xiaomi? There is a whole ton of speculation around why, and I’m sure there’s only three people that really know what actually happened, but it’s fun to play gossip girl. It’s all the carriers fault, so Google has taken it upon itself to fix the fragmentation (choice) problem (feature) from the inside out. Let’s hear it for Google Play Services! 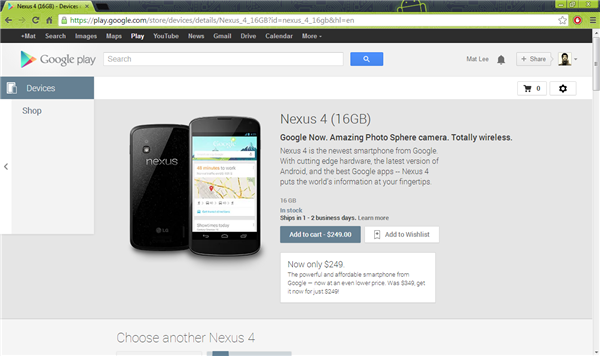 The 8 gig Nexus 4 has sold out on the Google Play store, but as of the writing of this, you can still get the 16 gig version. The Verge has an article about it here. This is an amazing deal for an unlocked phone. If you live in Germany or Italy, you can get yourself a Nexus 7 LTE and make Eric totally jealous. Check out the article on Android Authority. The Sony Xperia Z1 specs have been leaked. It actually doesn’t look all that bad. I’d be interested to see how it actually handles when you get it in your hands. Also, if you look at the camera on this, then look at the phone in the picture from the video that people think is the new LG Nexus 5. Do you see the similarities? Sony wouldn’t be making a Nexus device would they? Possible Nexus 5 by LG or Sony? Does anyone want a phone made by Acer? Sure, if they gave me one, but I don’t think I would actively seek one out. 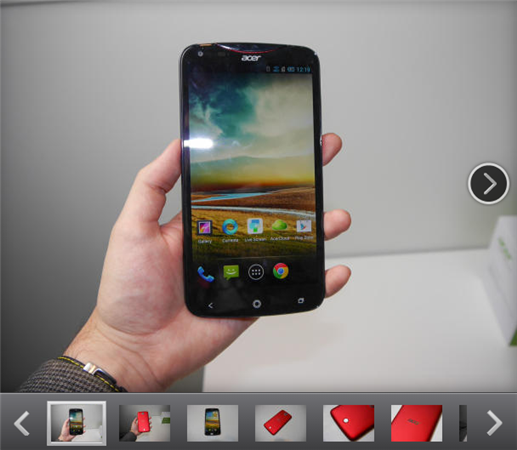 The Acer Liquid S2 has a silly name, but it looks ok. It’s a little on the large side. Eric tells us about some OUYA drama. Read about it here on All Things D. Is there a perfect Android gaming system yet? I don’t think so. Almost, but not yet. I would still buy the OUYA just because it’s cheaply priced. Have you ever heard of the Big Android BBQ? They have an event Thursday September 12th.